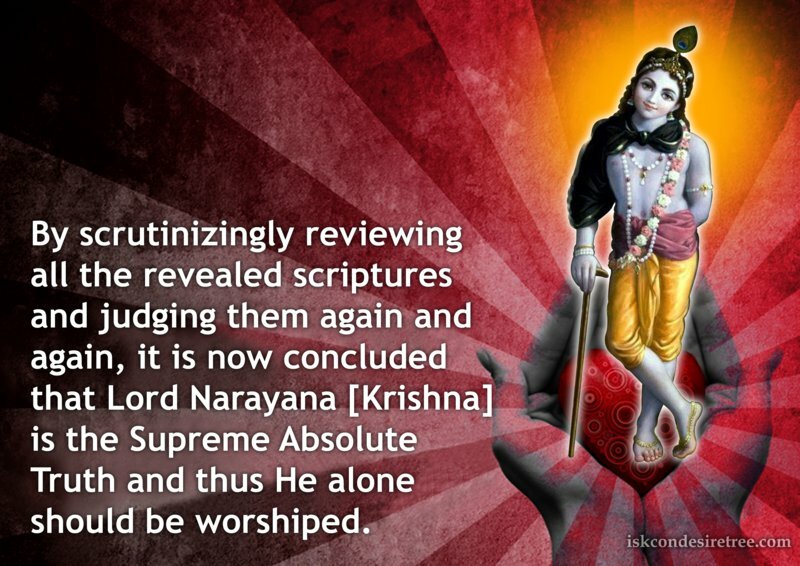 By scrutinizingly reviewing all the revealed scriptures and judging them again and again, it is now concluded that Lord Narayana [Krishna] is the Supreme Absolute Truth and thus He alone should be worshiped. Do not discriminate in your heart between enemies and friends. Make your mind equipoise towards everyone.When one sees everyone on the platform of equality, one then comes to the position of worshiping the Lord perfectly. Among all other gopis, Srimati Radharani is the most dear to lord Krishna. Therefore in the month of karttika, one should worship Lord Damodara with Srimati Radharani near him. Those who are interested in majesty, power, and opulence worship Visnu as the Supreme. Those who are more intimate worship Mother Yasoda as superior to Brahma and all the demigods. 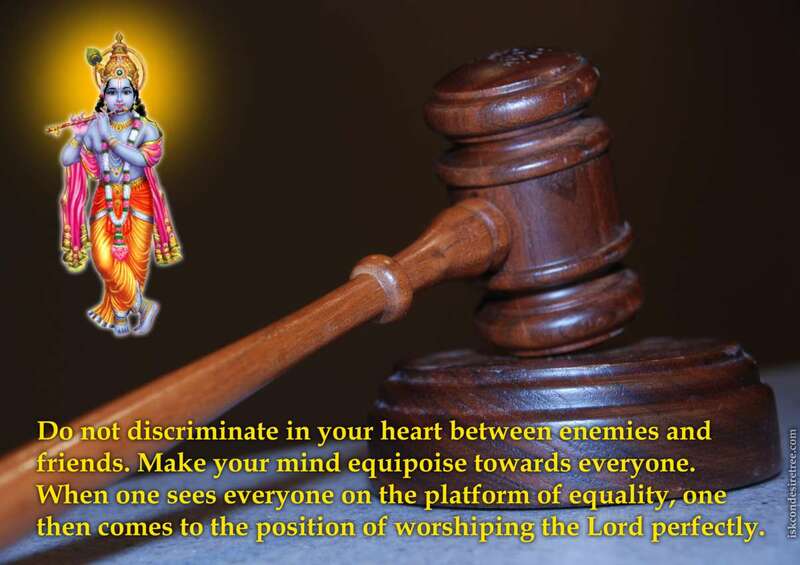 If one is worshiping Lord Hari [Krishna], what is the use of performing extraneous penances? On the other hand, if one is not worshiping Lord Hari, no such penances will save one. Any person who offers lotus flowers to Lord Narayana, the dearest personality of Laksmidevi in the month of Karttika, Laksmidevi resides with him for hundreds of births.